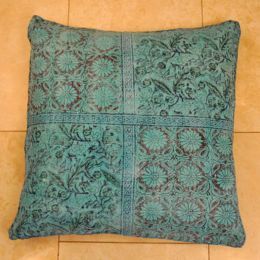 Cushion handmade in India - Old Burgundy & Turqoise (10024) - All you need for your home and garden. 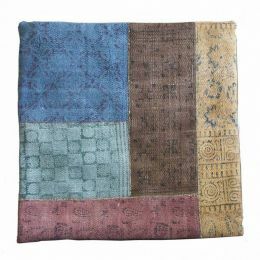 This cushion is hand made and hand printed in India. 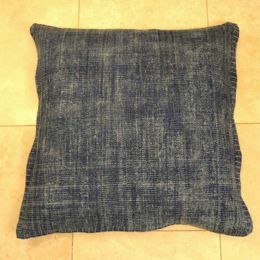 Stonewashed to give a warm aged look. 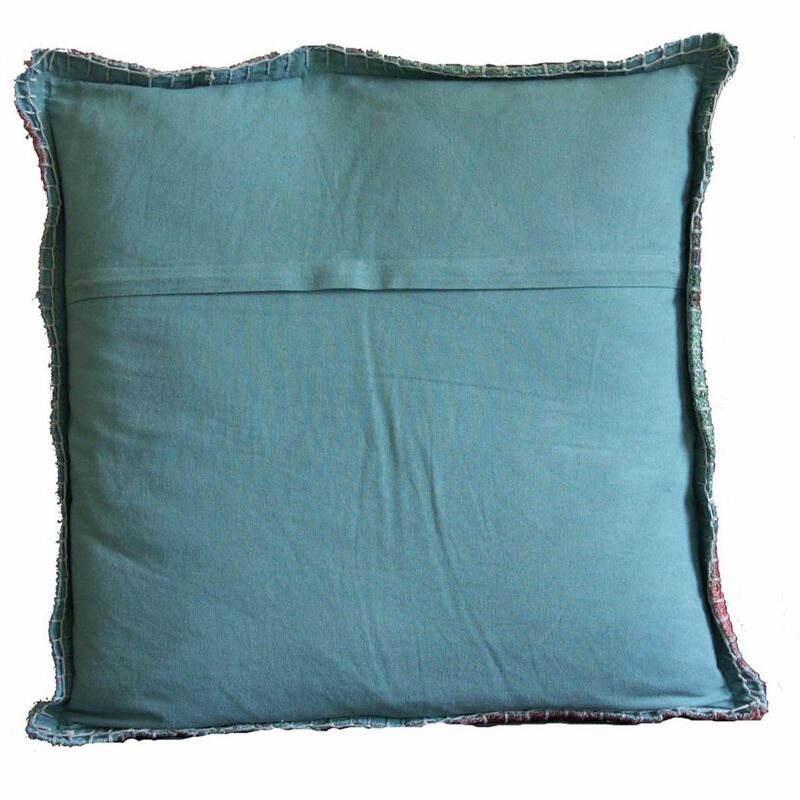 20% wool, 80% jute, this cushion is traditionally made using a handloom. 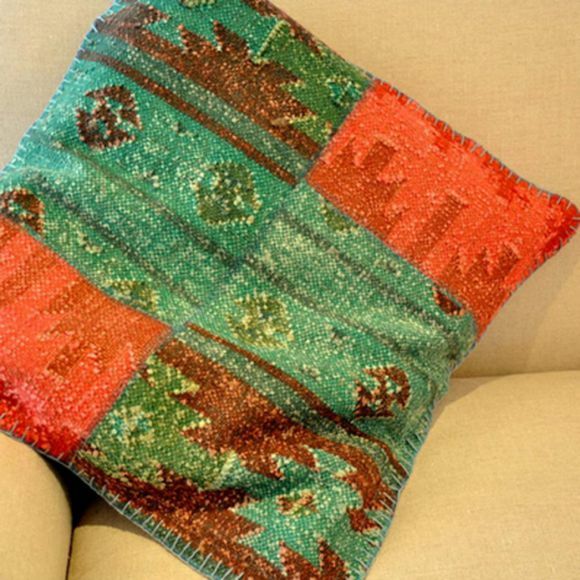 Made in Rajasthan on a fair trade basis. 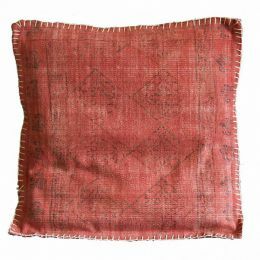 Made in rural communities, the skilled weavers usually supplement agricultural income with weaving income which can be earned in their own home on looms provided by the exporter. 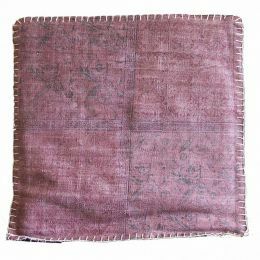 Advances and raw materials are provided to the weavers. 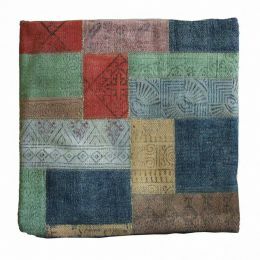 Some production is in village workshops. 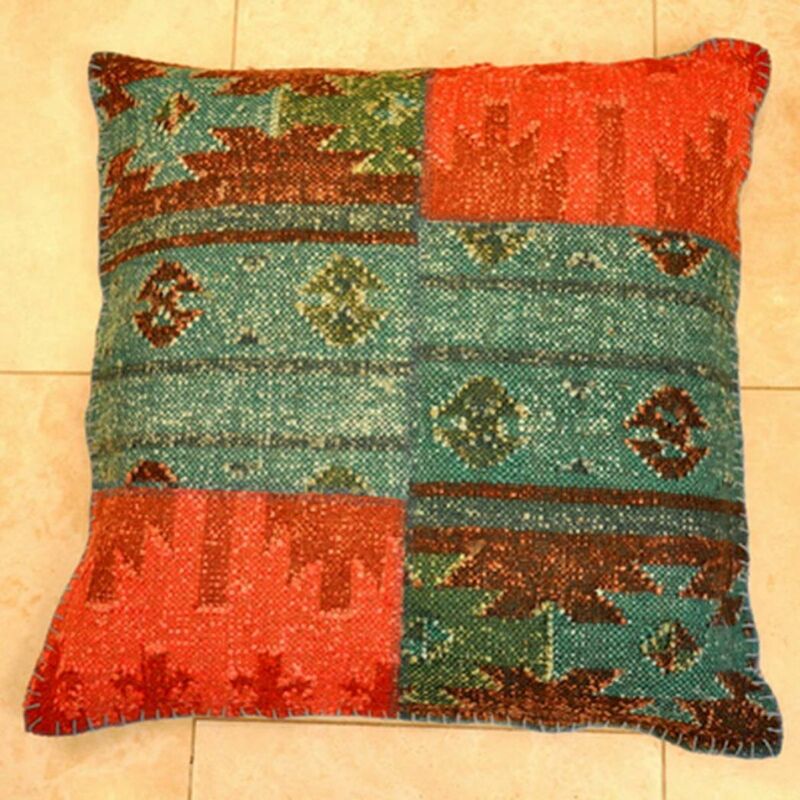 Kilim production is a skilled art which is passed down from generation to generation and the work attracts good rates of pay. This product is made by hand and therefore sizes and colours may vary.